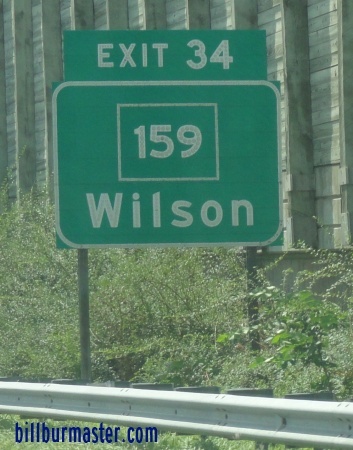 Connecticut State Route 159 is a north-south highway in North-Central Hartford County. It runs along the western banks of the Connecticut River from Interstate 91, near Hartford, north to the Massachsuetts/Connecticut State Line. CT St Rt 159 passes through the following towns in Hartford County. CT St Rt 159 is multi-plexed in Hartford County. 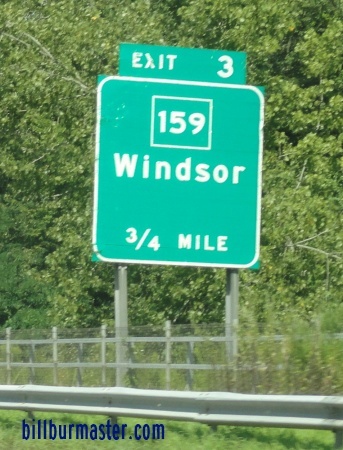 Connecticut State Route 140, near Windsor Locks. 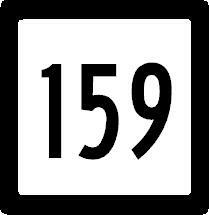 CT St Rt 159 intersects the following highways in Hartford County. Connecticut State Route 218, near Hartford. Connecticut State Route 178, near Windsor. Connecticut State Route 75, near Windsor. Interstate 91, near Windsor Locks. Connecticut State Route 140, near Windosr Locks. Connecticut State Route 190, near Enfield. A BGS on SB I-91. A BGS on WB I-291.